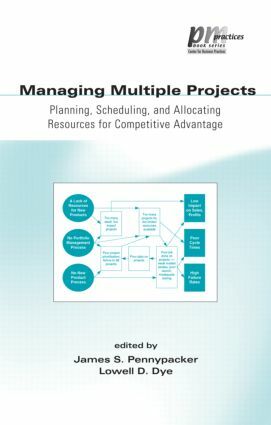 "Details time-efficient and cost-effective strategies to evaluate, select, prioritize, plan, and manage multiple projects. Presents proven methods and practical applications for the development of successful project portfolios and prosperous multiproject environments. Provides useful models and scheduling frameworks for increasecd quality and productivity." Part 1 Overview: project porfolio management and managing multiple projects - two sides of the same coin? ; software packages don't manage projects - people do!. Part 2 Time, cost and other management issues: multiproject scheduling and resource allocation; effective resource management - debunking the myths. Part 3 Tools, techniques and methods: improving multiproject management by using a queuing theory approach; a multi-project management framework for new product development. Part 4 Best practices and applications: programe management - a key for integrated healthcare delivery systems; managing multiple projects in large IS organizations.